At the southern boundary of St Mary’s parish, Fountain Road is almost like a grand avenue, connecting Garratt Lane to Blackshaw Road. I’ve been told that in the mid-nineteenth century it was established as the main thoroughfare, leading visitors towards the newly constructed Lambeth Cemetery. At its lower end, The Fountain public house being set up as a watering-hole for thirsty visitors. It has the feeling of being on the edge. Maybe its the great width and length of the street or its proximity to a huge hospital and several graveyards which induces fear and anxiety, but there is a sense of houses that hold secrets. Its a place with a real presence. Only a week or so ago a recent resident, Babar Ahmad, widely described as a ‘cyber-jihadist’ has made the news, sentenced to prison by an American court for promoting terrorism on the internet. Go back one hundred years and you might find the roots of the events that destabilised the middle-east region and sowed the seeds of his beliefs. Walter Tappin lived in one of the distinctive collection of flat-roofed houses which dominate a number of stretches on the southern side of Fountain Road. He was killed on 9th March 1918 and is buried in Jerusalem War Cemetery. Also there is Horace Woodley from Hazelhurst Road who died on the same day. Not far away, James Luke Tugwell from Headworth Road rests in Gaza. In 1911, fourteen year old Walter was an errand boy living at 19 Fountain Road with his parents and five siblings, one brother and four sisters. His father, also Walter was a ‘trenchman’ who worked for the Metropolitan Water Board, his mother was the exquisitely named Amelia Bodfish. He was probably born at No19 as the family were resident there when he was baptised at Holy Trinity Church in August 1896. 1915 was a highly eventful year for young Walter. I came across an item in the Tooting and Balham Gazette newspaper dated 13th February about him, under the headline ‘Police Raid on Tooting Gamblers’. Walter and three others were charged with playing pitch-and-toss in Khartoum Road. They were part of a group of forty, who when challenged by the police, resisted arrest. Things then turned nasty. Stones were thrown and punches exchanged. One policeman was bitten on the hand and another threatened with having his fingers bitten off. A woman was alleged to have trod on an officer’s heels ‘in order to help the gamblers escape’. There were counter-claims of brutality back at the station. One of the co-accused, Henry Crump also of Fountain Road stated that he was ‘seized by the throat and set on by five policemen.’ Walter was discharged but two of his pals including Henry ended up with short prison sentences. Pitch-and-toss, essentially betting on the throw of a coin was extremely popular in working-class areas and particularly mining communities. The game flourished in the war years with Australian soldiers introducing their own version called ‘Two-up’. This involved flipping two coins from a small piece of wood and waging on how they fell. Groups of men would form a circle around the main protagonists and tended to scatter in all directions if the police approached. Not long after his brush with the law, Walter was off to Diss in Norfolk to enlist with the Royal Welsh Fusiliers. It was 31st March 1915 and he was nineteen. Walter went to Gallipoli and later saw service at Gaza and Jerusalem. 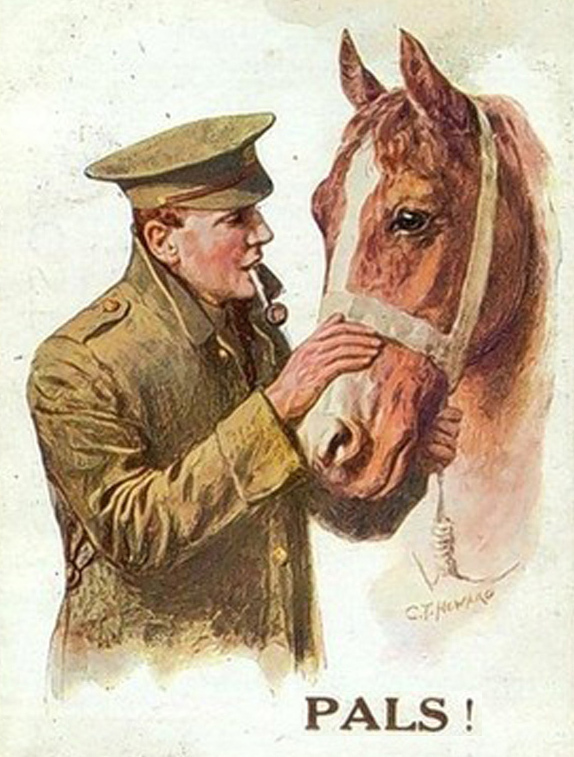 On December 1916 he transfered to the Montgomeryshire and Welsh Horse Yeomanry, part of the 53rd Division. Both Horace Woodley and Walter Tappin died in the fighting in Palestine, the biblical lands whose ongoing conflicts continue to rage to this day. In 1914 the area was under the control of the Turkish Ottoman Empire who entered the First World War on the side of Germany. As always there were oil and business interests at stake and protecting the Suez Canal was a British priority. After initial reverses at Gallipoli and in Mesopotamia the tide turned in December 1916 with the entry into Palestine of allied forces and the capture of Jerusalem by Field Marshal Allenby a year later. Walter’s death occured in a skirmish a few months after this between 8-10th March 1918. An event known as the battle of Tel Asur. The war diary of the 158th Brigade mentions that ‘Tel Asur, altitude 3318 feet was captured by 1/5th Royal Welsh Fusiliers at the point of the bayonet and successfully held against three determined counter attacks’. Many thanks to the Great War Forum for the map shown above. The red line on this indicates where Walter’s division were at 6pm on 8th March. The dotted red line above it shows where they had got to by 10am on 10th March. About half-way across in the middle of all that was the fateful hill of Tel Asur. I found it in my atlas, about fifteen miles north of Jerusalem, just beyond the high ground of the West Bank. Its bang in the middle of the disputed territory which has been occupied by Israel since 1967. Easy to see how in 1918 it was a strategically important point in any attempt to re-seize the city. Somehow in this struggle in a strange far-off land, near familiar-sounding places like Jericho and the River Jordan, three young men from Summerstown who probably knew of these places from their Sunday School classes, lost their lives. The only thing in Walter Tappin’s possession when he was killed was his identity disc. His mother passed away in December 1915 and Walter’s father moved to Mitcham which explains why his name is also on the war memorial there. 19 Fountain Road, just a few doors up from Cavell House, nurses accomodation got pebble-dashed about forty years ago but looks pretty much like it would have done in 1914. A few weeks ago I visited the home of a lady a little bit further along Fountain Road whose grandparents had moved into the house in 1914, four generations later the family are still there. I had never heard of an absent voters list until Marion produced one for Keble Street. Initiated because of the 1918 UK general election, it provides the name and address of all serving soldiers at that time, their service number, rank and regiment. The information was provided by next-of-kin. This was the first UK general election in which nearly all men aged 21 and women aged 30 and over could vote. Polling was held on 14 December 1918. 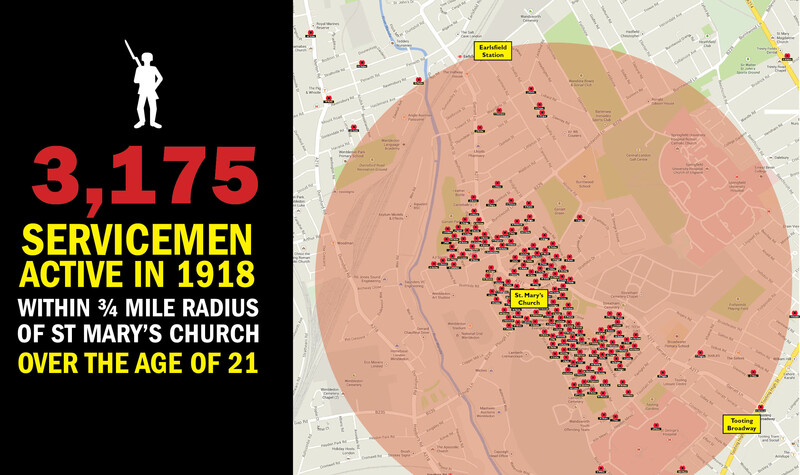 There were 40 dwellings on Keble Street from which came 26 serving soldiers and sailors. The list told me that Fred Barnes at No7 had three brothers who were seemingly still standing. It also told me that it must have been produced from information gathered before October because Harold Glassett at No29 was still alive and hadn’t yet been crewed on the fateful G7 submarine. Lists from all the other streets in this area have allowed me to work out an estimate as to how many service personnel from around here participated in the war. Taking into account the area between Earlsfield Station and Tooting Broadway, I added them all up and it came to a staggering total of 3,175. Obviously the lists only contain the names of those eligible to vote, so a vast number of soldiers and sailors under the age of 21 are excluded. It also excludes those already dead and the sick and the wounded who might have been invalided home. Also missing would be a good few who simply slipped under the radar. My assumption, all things considered is that the headcount for each street could be increased by a third to give a truer reflection of the total figure. On that basis, my conclusion is that some 5,000 servicemen came from the streets within roughly three quarters of a mile radius of St Mary’s Church. The longest road in the area being studied is Garratt Lane, the total number of names for the stretch between Nos 384 and 843 is 191. Tranmere Road is a bit out of the St Mary’s parish reach, but out of 170 houses, there were 132 soldiers and sailors listed. However the street that really blows the mind is Gilbey Road, near Tooting Broadway. Its got 99 doors and from behind those stepped 137 serving soldiers, sailors and airmen in 1918. That’s a proportionally far higher headcount than any other road in the area. 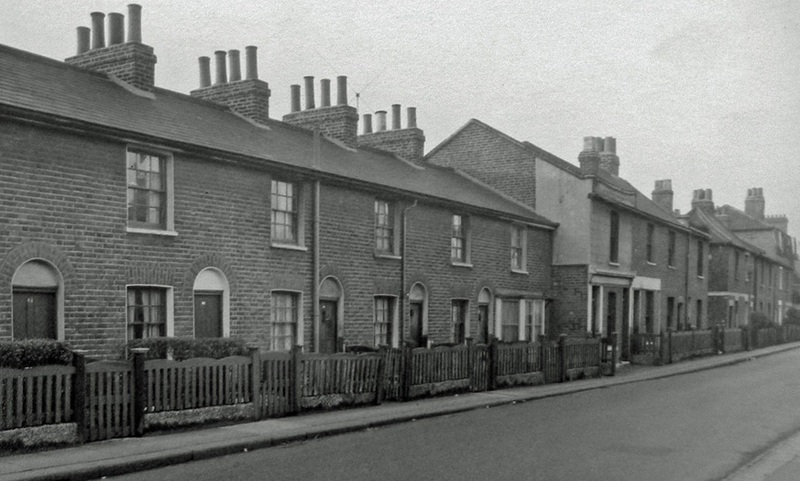 The key streets in the immediate Summerstown locality are Foss Road, from which 92 men served, Smallwood Road has 81, Summerstown has 55, Franche Court Road 43, Maskell Road 36. Burmester Road had five brothers on the absent voters list living at No47, the Kinghams; Frank, Percy, Frederick, Douglas and Gordon. Two in the army, two in the navy and one in the RAF. 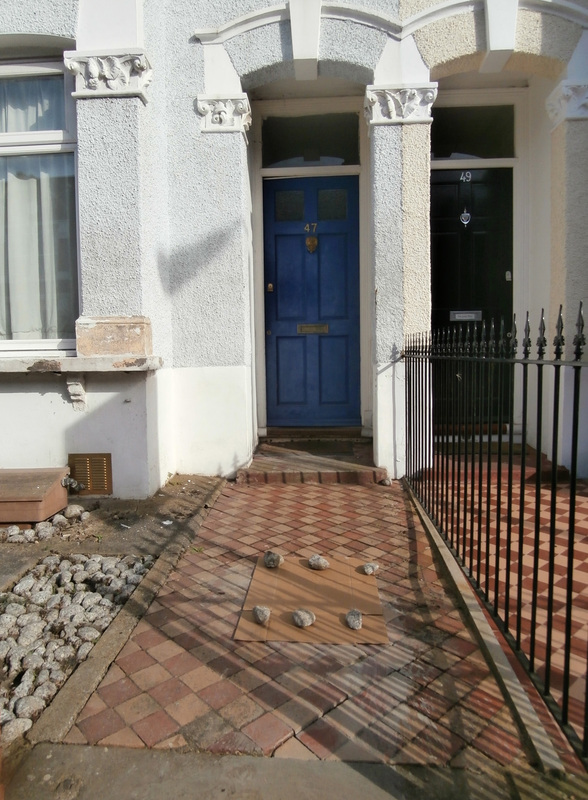 When I went round to take a photo there was a curious little arrangement of six carefully placed stones on top of a piece of cardboard in the front pathway. Was someone trying to tell me there were really six brothers? 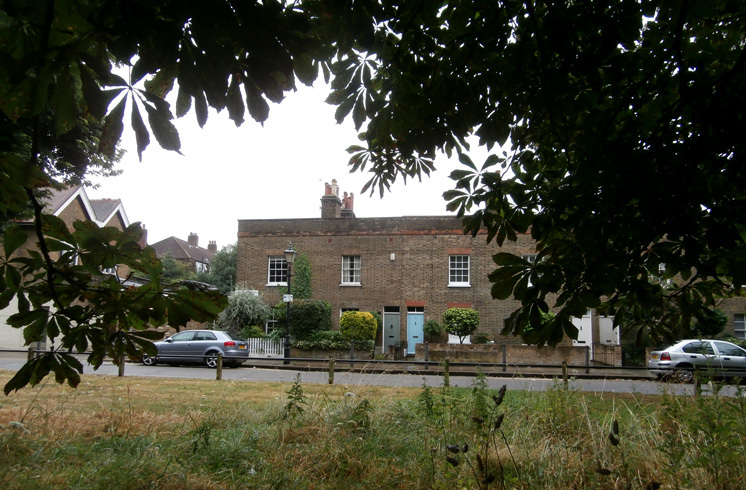 At 62 Waldron Road there were four Crooks; Thomas, Charles, George and Albert, also a Henry Crook at 62a. All were in the army. Being on the list was no guarantee of survival, apart from Harold Glassett, there are eleven other members of the Summerstown182 on the list, all of whom perished in the last six months of the war. There is a theory that distressed relatives, refusing to believe their family member might be dead, put their names on the list. Thus Willie Christopher Smith of 8 Wimbledon Road is registered to vote at an election in December 1918 when in fact he died on 31st July 1917. The generally accepted statistic is that if you served in the First World War, you had a ten percent chance of being killed. That means that in all likelihood, 500 of those 5,000 men never came home. We are getting to know a little about 182 of them. Many thanks to Marion Gower for sourcing the absent voters lists for the streets of Summerstown, Earlsfield and the northern part of Tooting. ‘There was an old woman who lived in a shoe, she had so many children she didn’t know what to do’. 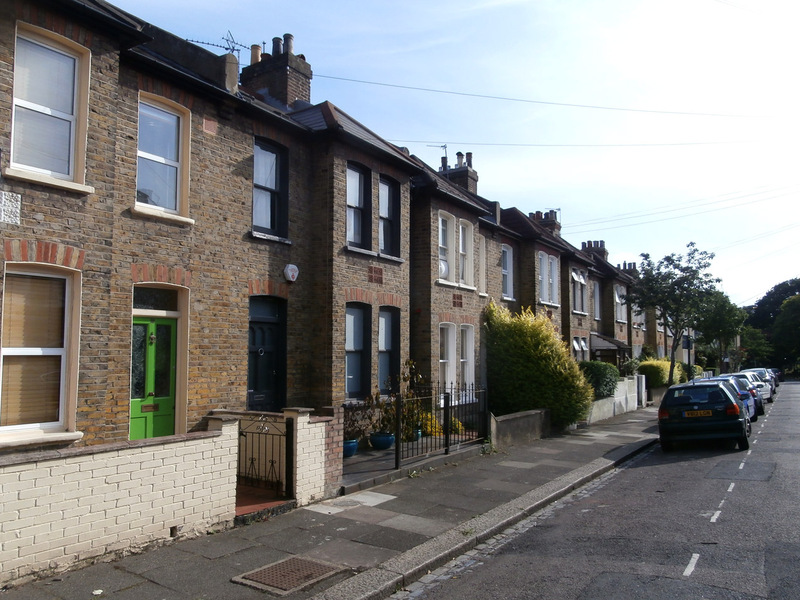 The Summerstown equivalent of the shoe was 14 Worslade Road. This was home in 1911 to Edward Matcham, a 41 year old labourer working for the council, his wife Jane and their twelve children, seven boys; William, Henry, Ernest, Frank, Sidney, Charles and Edward and five girls; Ellen, Florence, Rose, Elsie and baby Winifred. 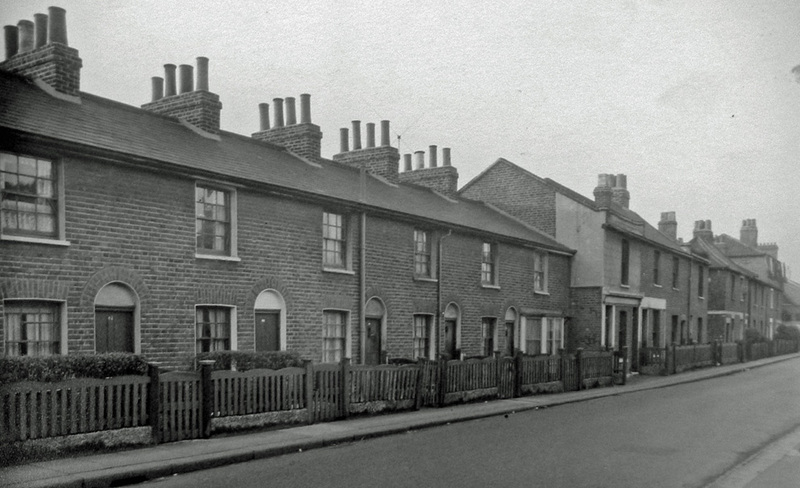 Originally from Dover, they had been living in Kennington but around 1907, the young family were part of the great wave of people moving to the newly bricked-over green fields of Summerstown. Home was now cosy little Worslade Road, nestling in the leafy shadow of Lambeth Cemetery and along with its tranquil neighbour Bertal Road, surely one of the gentler streets of the rough-and-tumble Fairlight area. Sadly, as for so many other families, the war turned everything upside down. Two of the boys, William and Ernest were killed within ten months of each other and are remembered on the St Mary’s memorial. A third brother Henry lost his life in the Second World War. This is the largest family we have encountered so far and how they all squeezed into this tiny house has baffled me for six months. Well, this week I got a chance to have a look inside. I had leafleted the street in the morning and at lunchtime got a message from someone asking if any of the Summerstown182 lived in Worslade Road. I told them about the Matchams at No14 and incredibly they announced that was precisely where they lived. I popped round later for a cuppa and a chat. 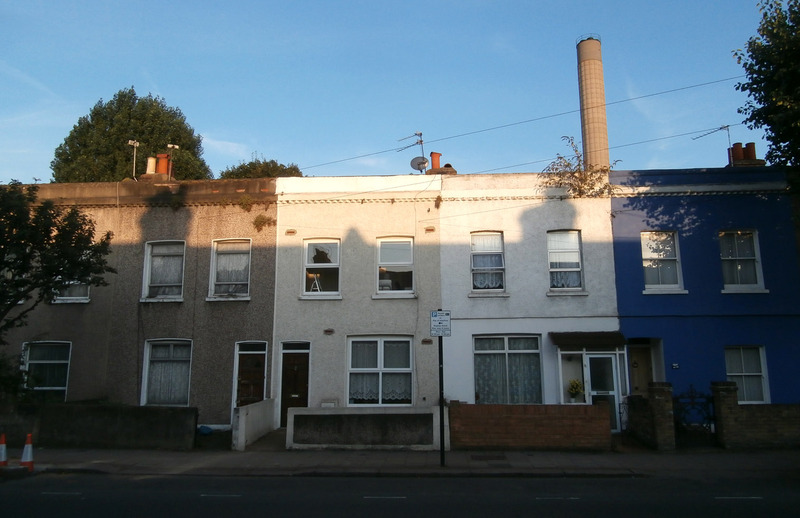 Roz was delighted to find out that two of the Summerstown182 had once lived in her home and will be bringing a possee of Worslade Road residents on the next walk. The brothers signed up within a week of each other, about a month after the start of the war. William Matcham, born in 1893 was the oldest and worked as a grocer’s assistant. He was 21 when he joined the 2nd Battalion of The Rifle Brigade, a regiment rather grandly known as ‘The Prince Consort’s Own’ at Winchester in September 1914. Ernest, born in 1896 was working for a printing company called Harrisons when he joined the 21st London Regiment aged 18. William was promoted to Corporal on 21st July 1916 but was ‘killed in action in the field’ just eight days later. The field was the Somme and he is buried at Vermelles, about six miles outside Lens.‘Gone from our Home, but not from Our Hearts’ is the rather moving personal inscription on William Matcham’s headstone. The official paperwork recording his death indicates that two other brothers, Frank and Henry were also in the services but curiously there is no mention of Ernest who would have been getting ready for Salonika. He had also seen service in France that summer but in December 1916 he disembarked at the notorious Macedonian port. Ernest Matcham was killed there on 4th May 1917 most likely in something caled the 1st Battle of Doiran. Bizarre as it sounds – the terrain was Greece, the enemy was Bulgaria and the fight was in defence of Serbia, if anyone can explain what that was all about, please get in touch. A sideshow to the western front of course, but one which cost 12,000 lives, a great many of whom died of malaria. Salonika… the name itself became a bye-word for misery and mosquitoes, many Irish soldiers served there and it was immortalised in a song frequently performed by The Dubliners. In 1941 my Dad spent a particularly unpleasant time there at a POW camp called Dulag 185 on his way from Crete to Germany. Going in the other direction in 1985, I passed through Thessaloniki on an Interail holiday. If that train ride was overcrowded and stiflingly hot, it was nothing compared to his nine day ordeal in a sweltering dysentry-ridden cattle truck. At least I had Mykonos to look forward to – four years of cabbage soup awaited Dad. Ernest’s service record indicates that he was a bit of a naughty boy with a track record of ill-discipline including ‘giving false information’, ‘being late for early morning parade’ and ‘disobeying an order’. His records reveal that his punishment included ‘field punishment’ possibly being tethered to a post like Alf Chipperfield and ‘confinement to barracks’. He seemed to pull himself together when he got to France. 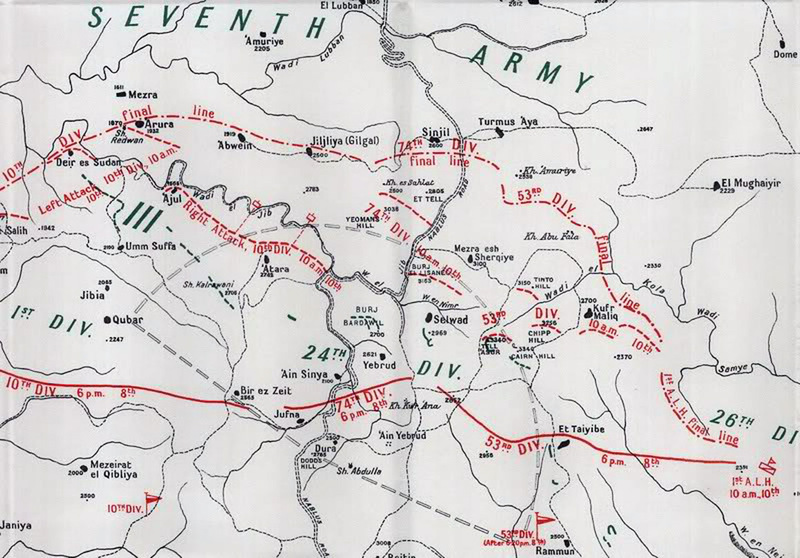 Between 24th April and 9th May 1917 British forces attacked the heavily fortified Bulgarians near Lake Doiran. They had surrounded themselves with so much wire that the area was known as The Birdcage. This was very likely the battlefield on which Ernest fell. His personal affects were sent home to his parents from Greece, including a belt, letters, photos and a card case. Frank Matcham had joined the same battalion of the London Regiment as Ernest and also saw service in France, Salonika and Egypt. He survived the war and was demobilised in 1919. Henry was in the Royal Navy and made it through the first world war only to be killed in the second. 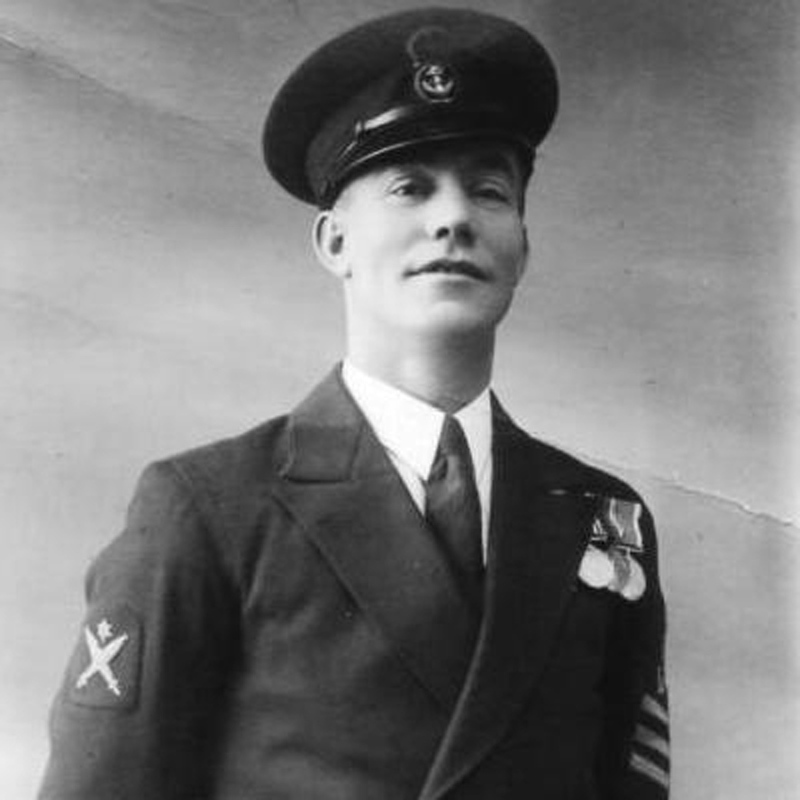 He received the Long Service and Good Conduct Medal for service between 1925 and 1930. He may be wearing them in the above photo. He died aged 45 on 5th November 1940, one of 195 lives lost when HMS Jervis Bay was sunk by the German battleship Admiral Scheer. The ship sacrificed itself in a heroic action off Newfoundland which allowed 32 vessels from the Atlantic convoy it was protecting to escape back to port. Petty Officer Henry Theodore Matcham is commemorated on the Chathan Naval Memorial. A Matcham connection continued in the house until at least the early 1960s with several elderly people still living in the area recalling the name. Edward Matcham lived on there until his death aged 92 and Winifred even longer. Enough history to fill a whole street, let alone one little house. Fourteen people, number fourteen Worslade Road. On Sunday there was a lovely little ceremony in a corner of Streatham Cemetery. Broadwater Gate, spectacularly garlanded in wildflowers for the occasion, was officially opened again for business after twenty years of closure. 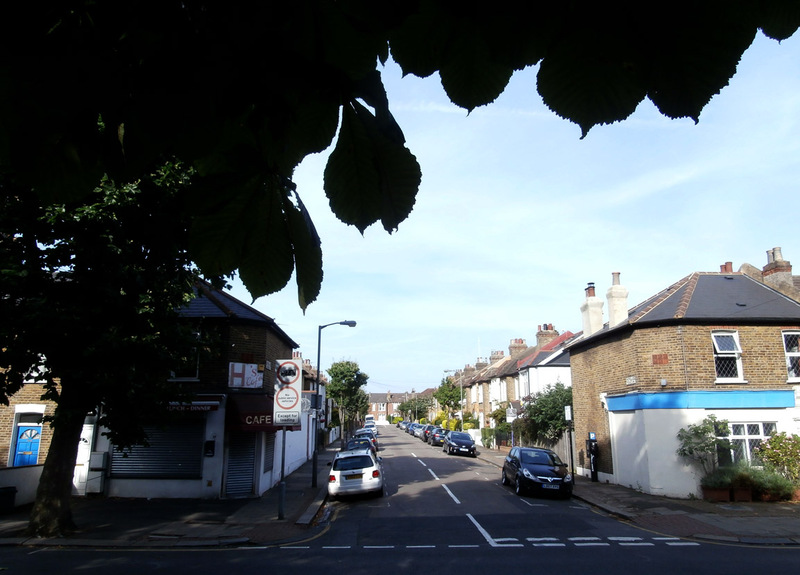 Now, if you are heading from Tooting to Summerstown or beyond, you can avoid a noisy tract of Garratt Lane by dipping into the cemetery and enjoying a slice of rustic tranquility that is one of SW17’s best kept secrets. 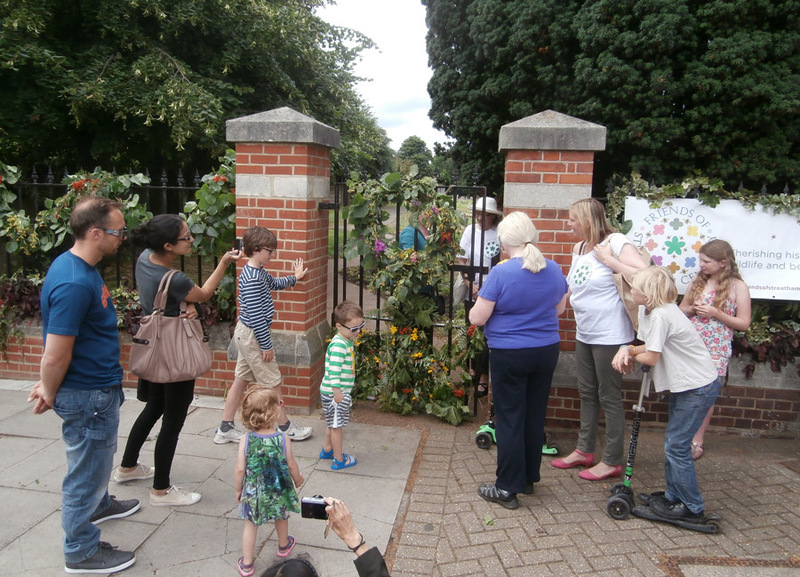 The event was a great opportunity to sip elderflower cordial, admire the honey bees and chat with the Friends of Streatham Cemetery who made it all happen. All that was needed to complete the perfect summer idyll was a little bit of music and resting nearby was a man who could have provided it. I first came across Edgar John Brown when I was looking for the Maces in April. It was the day I walked into the cemetery and immediately spotted two green woodpeckers – straight off the cider bottle. I took that as a sign that I would find the wooden peg which the gravedigger had put down for me to identify the location of William Mace’s unmarked grave. Indeed there was one in Plot D, right under a pink cherry blossom tree in full bloom. But it wasn’t him. I went over to check on Arthur Mace’s grassy mound and noticed for the first time that three CWGC graves were right in front of him, almost as if standing in protection. One of them, on the left, intruiged me for a number of reasons. The service number was the lowest I’ve ever come across. Number 38. Was Edgar John Brown really the 38th person to join-up after the outbreak of war? Secondly his age, sixty four. I knew there was a shortage of manpower, but could a man of that age feasibly have been fighting the Germans in 1915? Thirdly his regiment, the 3rd County of London Yeomanry, known as The Sharpshooters. Who on earth were they? 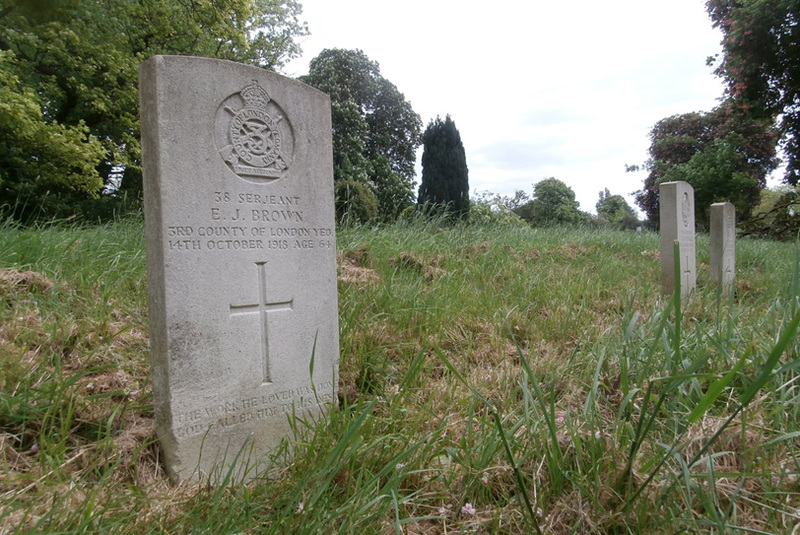 Sergeant Edgar John Brown died on 14th October 1915, apparently ‘at home’. Home would appear to have been 2 Berwick Street, Victoria where he lived with his wife Ellen. A soldier’s son, his father was in the 1st Regiment of Life Guards, one of the oldest and most prestigious regiments in the British Army. Edgar was born in St Pancras in 1851, the year of The Great Exhibition. It would appear that he followed his Dad into the same regiment and joined the Guards shortly after his fifteenth birthday as a ‘boy musician’ and trumpet-player. By the age of 20 he was stationed at Hyde Park Barracks. On 21st February 1880 he married Ellen Elizabeth Lovell at St Mark’s Church, Regent’s Park. His address was 2, Alma Terrace, near Wandsworth Prison, in fact so close, that had Ronnie Biggs come bounding over the wall, he might very well have made his escape through Edgar’s back garden. This is the nearest he would seem to come to Summerstown. By the 1881 census he was living in Windsor, seemingly with relatives of his wife. His occupation was army bandsman but whether Edgar was engaged in any of the Victorian conflicts in Egypt, Sudan or Afghanistan isn’t clear. He was discharged from the army after 22 years and 306 days service in 1889 and his character was noted as exemplary. By 1891 there were three children, Margaret, Mildred and a son Edgar and the family were back in London in the area of Regent’s Park. In 1901 Edgar Brown and family were continuing their tour of grand London localities and had moved to Belgravia where he was a Professor of Music at Hanover Square. By 1911 they were in Victoria and Edgar’s occupation was now noted as ‘Army Pensioner Musician’. Edgar’s later regiment, the 3rd County of London Yeomanry, The Sharpshooters’ was formed in 1899 by a well-known hunter, explorer and ‘damn good rifle-shot’ Sir Henry Seton-Karr MP. He suggested a force of volunteers who could ride and shoot well to take on the Boers. Another big-noise was Lord Dunraven who was once in the 1st Life Guards. Given his military pedigree its easy to see that Edgar may have got involved. Age appeared to be no barrier, indeed Colonel Alexander Weston Jarvis commanding The Sharpshooters at Gallipoli was in his sixties. Edgar almost certainly re-enlisted voluntarily because of the war but it seems likely that he only served on the home front. It was not unusual for older retired soldiers to do this and he would have been useful for such tasks as recruiting, drilling and showing new soldiers the ropes. A clue to his character is in the inscription at the bottom of the grave ‘The work he loved was done, you called him to his rest’. Clearly an enthusiast and a man with a mission. His death at home suggests illness or natural causes, but as a serving soldier he would be automatically entitled to CWGC commemoration. There is an E Brown on the war memorial and he remains one of the nine who we can’t be certain about. Could it be Edgar? I’m not so sure. He doesn’t quite fit the profile and apart from him being buried in Streatham Cemetery and once residing in Alma Terrace, there seems to be no other local connection. There were 4271 ‘E Browns’ on the CWGC database when I last checked and until someone more definite comes along, we are proud to welcome Edgar John Brown into the Summerstown182. We look forward to paying respects to him again on the occasion of the Friends’ Bat Walk on 17th July. Many thanks to Sheila Hill, Marion Gower and members of the Great War Forum for their research, wisdom and advice on Edgar Brown. There are three Bakers on the war memorial and while two of them were identified easily enough early on, a ‘W I Baker’ remained a mystery. Then Christine came across a William James Baker and we now believe that he is one of our Summerstown182 and, as has been the case with one or two others, the middle initial is incorrect. William Baker joined the 23rd London Regiment on 20th May 1915, just a few days before their darkest hour at the Battle of Festubert. This was the regiment to which the Sunday School Three belonged, and at only sixteen years old, he was barely out of bible class. William Mace was already dead but William Baker might even have crossed paths in France with James Crozier and Laurence Gibson, who assuming he did go to St Mary’s Sunday School, may very well have once been teaching him the Catechism. Now they were directing him to kill Germans. 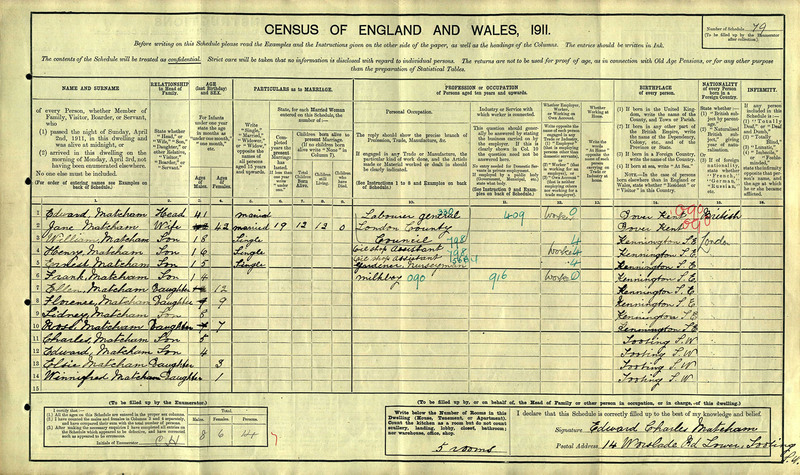 In the 1911 census, 34 Summerstown was home to the Baker family. About half way down the road, with its back to the watercress beds now so desired by the property developers about to disassemble Wimbledon Stadium. The house was just opposite the Passinghams, Carrigans and Miltons, close to the kink in the road, roughly where the hoarding is behind the white car in the photo. Its not far from what you’d be looking at if you were sat outside the By the Horns micro-brewery, nursing a bottle of Diamond Geezer. In the 1955 photograph it is I believe the house with the bay window, the fifth door from the left. Richard Adams Baker was a farrier and his wife Louisa a laundress, their eldest son, also a Richard was living elsewhere, but the next oldest, William James was twelve years old. They had previously lived in Battersea and William was born in Fulham. The next document Marion found about the family is four years later and sees Richard Senior joining the Amy Service Corps on 29th June 1915 at Woolwich, just a month after his son had signed up. The paperwork indicates that he was ‘specially enlisted as a shoeing smith on five shillings a day’. He had seven years previous service in the Surrey Yeomanry and made and fitted horseshoes, the horse still being the primary mode of transport in the army at that moment in time. Each artillery brigade would have needed four shoeing smiths and his skills ensured him a much higher rate of pay than that received by the average soldier. William Baker would have very likely served with the 23rd London Regiment at Loos, Vimy Ridge, Flers-Courcelette, Messines and St Quentin. 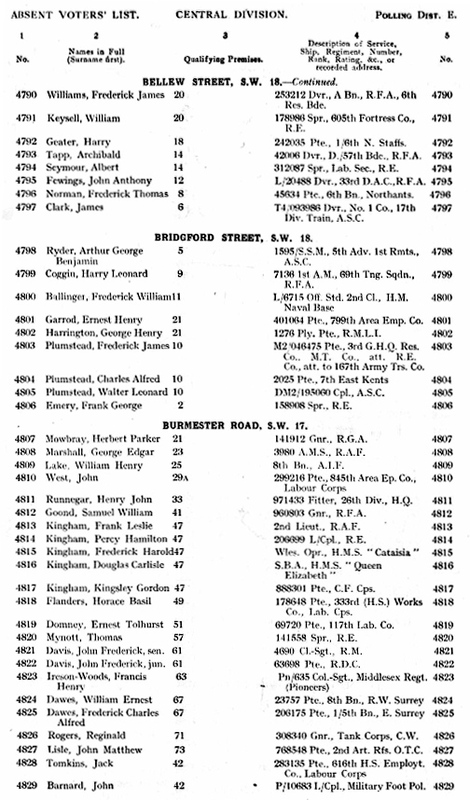 There was a General Election in 1918 and the ‘absent voters’ list for that indicates William’s name. However he was most likely already dead when it was compiled. The manner of this is unusual and disturbing. He was reported as missing on 5th April 1918. This was the day that General Erich Ludendorff formally ended ‘Operation Michael’, the great German ‘Spring Offensive’. This resulted in the largest gains of territory on the Western Front by either side since 1914. The Germans advanced almost 40 miles, inflicted some 200,000 casualties and captured 70,000 prisoners, of whom the nineteen year old William James Baker was one. What happened to him next is unclear. He certainly never made it to Germany. War Office correspondence amongst the documentation in his service records, dated June 1919 outlines his fate. ‘A statement has been received from Private W Abbey of 1/23rd Battalion, London Regiment, repatriated Prisoner of War, to the effect that Private W J Baker died in June 1918 as the result of a blow received from a German sentry and was buried outside Peronne, near St Quentin, the grave being marked. The next-of-kin should be informed of this report, and also that Private Baker’s name was included in the list of Prisoners of War who are unaccounted for which was sent to Germany, and that up to the present no information is available other than a report from the main camp at Gustrow that he is dead. In view of this Private Abbey’s report is being accepted for official purposes’. William Baker’s grave was eventually identified as being in the Communal Cemetery at Peronne. Very quickly the German gains of spring 1918 were lost, the Americans became involved in the war and the tide turned. This was not the best of times to be a prisoner. At the Armistice there were only 177 graves at Peronne Communal Cemetery but very quickly it expanded when bodies were brought in from the surrounding battlefields and smaller cemeteries. There are now 1376 graves there. Think on that as you neck on a bottle of Wolfie Smith Ale and as the sun sets over Wimbledon Dog Track, spare a thought for the young soldier from across the road, William James Baker.